$1,819.00 This may be in stock for quick delivery; please call! The Leblanc L7168 bass clarinet is designed to be free blowing and very responsive. 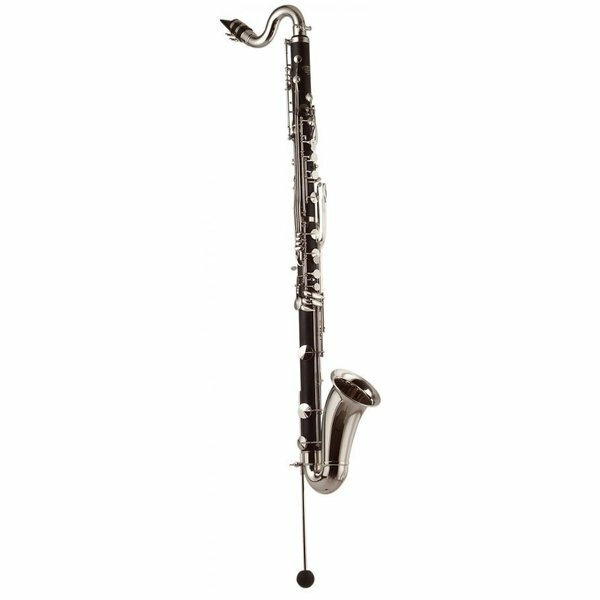 The Leblanc L7168 bass clarinet is designed to be free blowing and very responsive. The low Eb is now on the body of this clarinet, which will eliminate alignment issues and is much more durable. The high-impact ABS body is dense, durable, and has a sound similar to wood. This bass clarinet has been designed with young students in mind, and will provide many years of service. Specifications: 0.945" bore, composite body with wood-like finish, low Eb on body, floor peg, leather pads.